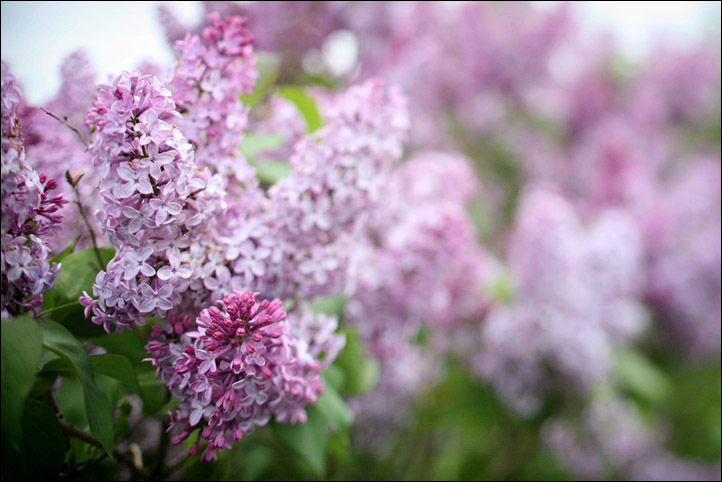 Lilacs are in my top 3 of favorite flowers. I look forward every Spring to the sudden burst of purple on every street corner. They only last so long. Every year I bring my Mom the first lilacs of spring. I used to pick them on my way home from school. These days I bring them from Brooks to Canmore in a cup. Brooks always blooms eons before Canmore does. If I was allowed I would have big lilac bunches in every room in my house. Unfortunately the smell is too consuming for my husband. Basically I’m helping prune the bushes. June 5, 2010 - 10:38 am	Okaa - Again you brought them all the way from Brooks. Thanks so much is smells great.